JOHNSTON, Iowa — DuPont Pioneer researchers are reporting the results of scientific studies demonstrating the potential of CRISPR-Cas as an advanced plant breeding technology. A recent issue of Plant Biotechnology Journal features a Pioneer manuscript describing the first application of CRISPR-Cas to improve a corn plant’s own ability to withstand drought stress. “Rapid population growth coupled with limited resources and climate change requires innovation to keep pace at a similarly rapid rate,” said Neal Gutterson, vice president, Research and Development, DuPont Pioneer. CRISPR-Cas advanced plant breeding technology develops improved seeds by using the native characteristics available within the target crop. In this most recent published example, Pioneer scientists applied CRISPR-Cas to specifically edit a gene identified for its innate ability to promote drought tolerance. DuPont Pioneer field trials of the resulting elite corn hybrids exhibited an average five-bushel-per-acre increase in grain yield under water-limited stress during flowering, and no decrease in yield under optimal water availability. Additional trials are currently being conducted to determine commercial potential under a variety of environments. Other Pioneer studies related to CRISPR-Cas advanced plant breeding published within the last 12 months include two seminal reports demonstrating the efficiency and flexibility of the CRISPR-Cas system in crop development, one in corn and one in soybean, which appeared in the same issue of Plant Physiology. Pioneer is establishing a CRISPR-Cas advanced breeding platform to develop seed products for greater environmental resiliency, productivity and sustainability. 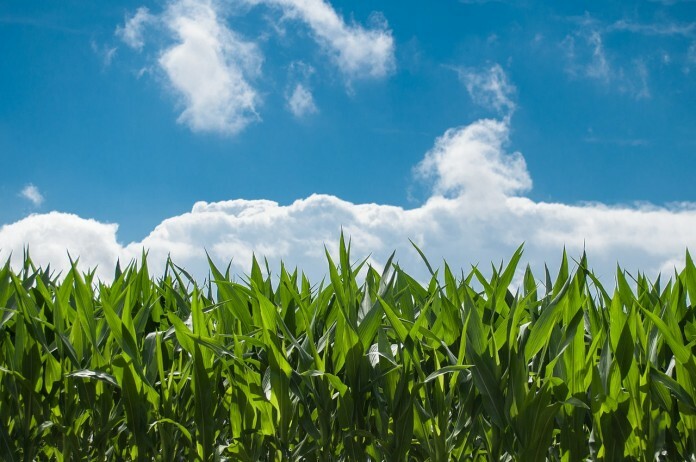 Pioneer announced earlier this year its intentions to commercialize waxy corn hybrids as its first product developed with CRISPR-Cas, pending completion of field trials and applicable regulatory reviews. The technology has applicability for all Pioneer crops of interest, including corn, soybeans, canola, wheat and rice.